'Shameful' was another term used to describe the work. With Brexit two months away, a last-minute publicity campaign rushed out by the Department for Exiting the European Union has been mocked by critics. A radio campaign launched by DExEU this week features people asking how leaving the EU will affect them. But no answers are given; people are directed to a website for more information. There was no press release or news story issued on gov.uk to announce the campaign, and prominent journalists complained that the DExEU press office had refused to provide them with copies of the ads. Govt launch No Deal public info radio campaign - but won't let BBC have copies of the radio ad. Er..... hello....public information ?? Wondering why the Government is refusing to send out its no deal Brexit radio ads to the press - it's meant to be a publicity campaign!! Simon Hodgson, a former senior communications manager at the Department for Work & Pensions, commented: "The comms team responsible will have it on their desktop, so for a press officer not to provide it is staggering." 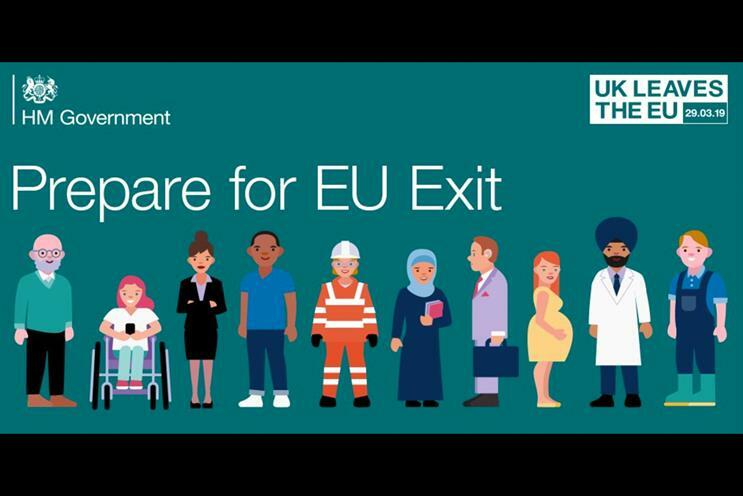 The https://euexit.campaign.gov.uk/ site being promoted in the campaign features a grinning construction worker, a smiling farmer and a jolly pensioner among the cartoon faces depicting the British public. But there is little new content, with the website serving as a place to direct people to numerous links to government information. Labour MP Jo Stevens mocked the website, saying it "looked like it was made by some children in their lunch break". David Noble, PR and communications director at the Bluewater Group, described the website as "pathetic, horrible and patronising" in a tweet. Mark McCaughrean, senior advisor for science and exploration at the European Space Agency, tweeted: "It is so far from reflecting people's real concerns & needs, it's shameful." Responding to criticisms of the way the campaign has been handled, a DExEU spokesperson said: "The public information campaign is designed to inform citizens and businesses about how leaving the EU might affect them and advise on the steps they may need to take to prepare for EU exit." The spokesperson added: "We have tested the website with a range of individual and business users and conducted thorough research to ensure that the website is readily accessible. The content will be continually updated to ensure that the most relevant and useful information is constantly available to the businesses and citizens that use it." Asked why the launch of the campaign had been so low key, DExEU pointed to a comment piece written by Stephen Barclay, the Brexit secretary, in the Express the week before. However, there was just a cursory mention of the campaign in his 900-word article. Barclay wrote: "On Tuesday, we will start a new phase in our public information campaign, using radio and social media to further raise awareness about the need to prepare." DExEU did not issue a tweet about the campaign until a day after it was launched. Asked how the campaign is being promoted, a DExEU spokesperson told PRWeek: "We will promote the public information campaign on radio, social media and out-of-home sites such as billboards and posters to ensure that people and businesses are aware of the guidance on preparing for EU exit that is available." DExEU declined to comment further when asked to clarify details of its handling of the campaign.